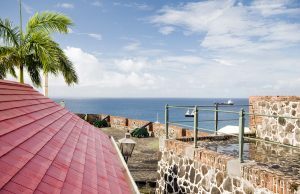 A quiet little island in the Caribbean, covering barely 8 square miles, St. Eustatius was once a center of commercial enterprise in the 1700’s. 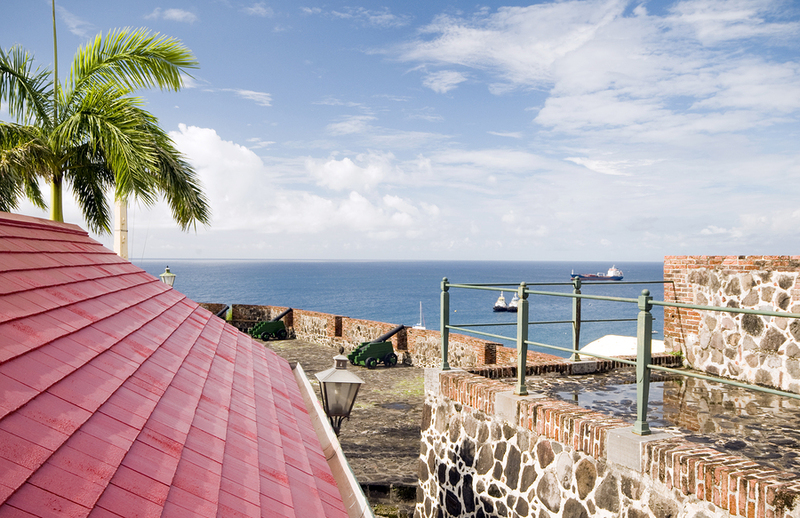 Known to the locals as Statia, this once bustling island has a full time population today of just a little over 3000. However, at its zenith in the 1700’s, living on St. Eustatius, there were many more residents, many very wealthy from trade. Under the command of the Dutch West India Company, St. Eustatius was a duty free neutral trading port, with a large protected harbor sitting right in the middle of British, French and Spanish Caribbean Islands. 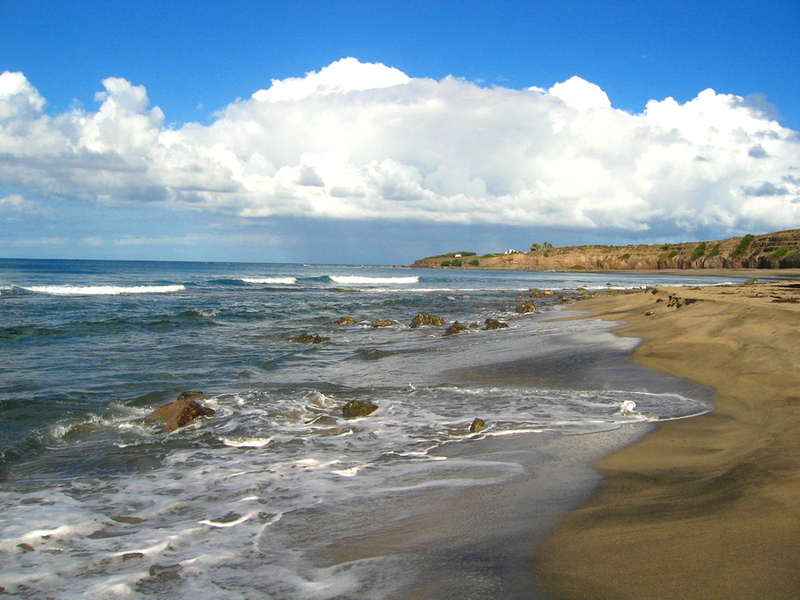 Statia’s economy flourished in the 1700’s from trade and the island became known as “The Golden Rock”. 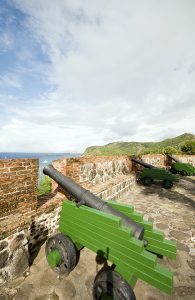 St. Eustatius merchants sold arms and munitions to anyone that had the money. A big purchasing client happened to be the American 13 Colonies, who purchased from Statia merchants many of the arms and munitions needed to wage the Revolutionary War to win freedom from British Rule. Indeed, it was from the tiny island of Statia that the newly declared independent country of America received first acknowledgement of sovereign status when the American flag yacht Andrew Doria received an 11 gun salute on arrival in St. Eustatius Harbor. As a neutral, duty free island, Statia was a bustling island in the 1700’s. Great warehouses were built along the coastline and harbor front. There was a large Jewish population, and a synagogue was built in 1737, and along with a Jewish Cemetery. Since falling into ruins, both the synagogue and cemetery have been restored and stabilized; with the synagogue walls, still awaiting a roof, that can be seen today along with the respectfully restored Jewish cemetery sitting next to the communal cemetery. Nearly half of the military supplies George Washington needed to fight the Revolutionary War were obtained from St. Eustatius. England took this very seriously, and declared war against the Netherlands, sending British war ships, under Admiral George Brydges Rodney to conquer the island, an easy feat. 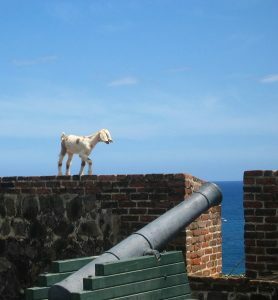 Statia came under British Rule, and the trading commerce on the island came to a screeching halt. Many islanders fled Statia, and under Admiral Rodney many male Jews were imprisoned or deported, while wealthy Jewish warehouses, homes and even Jewish graves were plundered and violated. Admiral Rodney found wealth on St. Eustatius that far exceeded his expectations, and with dreams of untold wealth, he stayed on the island looking for money and precious goods well after being ordered by British Parliament to leave Statia and sail to the Chesapeake Bay to the aid of General Cornwallis, the head of the British Army during the Revolutionary War. Rodney delayed his departure, intent on laying claim to more surrendered valuable goods, until it was too late and Cornwallis, without British aid, was forced accept defeat for Britain and surrender to General Washington. Today, an island that once had over 10,000 people, is a very quiet island, with most of the population living between the dormant volcano Quill and Boven Mountain. The only anchorage is next to the main town in which from time to time, there can be a swell from the north depending on winds. Scuba diving and snorkeling are fantastic around this quiet island, with very little underwater disturbed due to the very few visitors to this island. There are over 200 shipwrecks to be explored underwater. While above water are ruins left from the flourishing 1700’s including many warehouses, the Old Dutch Reform Church and the synagogue. 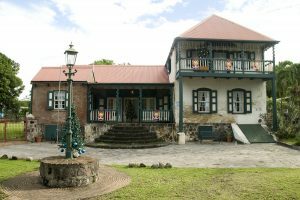 There are several museums to visit including the Lynch Plantation Museum and the St. Eustatius Historical Foundation Museum, along with the Miriam C. Schmidt Botanical Gardens, and the 17th century Fort Oranje.